The 2019 Mahindra XUV300 compact SUV has appeared in homegrown rapper, Badshah's latest music video. The 2:31 minute long song is titled Set the Roads on Fire and is a promotional tie-up with Mahindra. The video also features Sonal Devraj. Aditya Prateek Singh Sisodia, as the rapper is otherwise known, is popular for his Hindi, Haryanvi, and Punjabi songs. He now also features prominently in Bollywood music, having first debuted in 2006. In other news regarding the new Mahindra SUV, the XUV300 seems to have got off to a reasonable start. Over 9,000 units have been sold since the car launched on February 14. The Brezza, Nexon and Ecosport have fared better but the XUV300 can hopefully pick up the pace in the next few months. 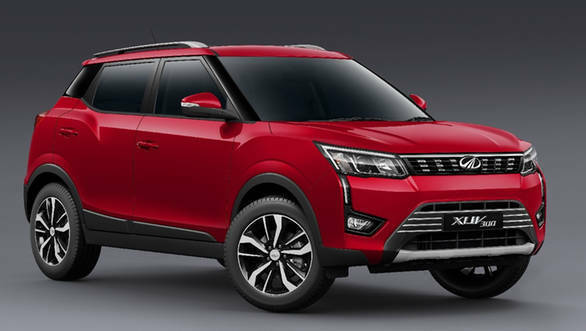 The XUV300 was launched at a starting price of Rs 7.90 lakh for the base petrol version and the price range goes up to Rs 11.99 lakh for the top-of-the-line, W8 option diesel version. Powertrain options include a three-cylinder, 1.2-litre turbocharged petrol engine that produces 110PS and 200Nm or the same 1.5-litre, four-cylinder diesel engine as the Mahindra Marazzo. The diesel engine has been detuned slightly to offer 115PS, though the torque output is an impressive 300Nm, which is a lot for a sub-four metre SUV. The XUV300 is currently offered with a six-speed manual transmission only, though Mahindra will be launching an AMT-equipped version too.